Breakfast was never my strong suit. Up until a few years ago I never actually ate breakfast. I would just grab a pastry with my coffee and be on my way. 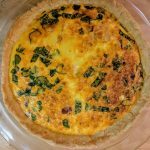 During my natural living journey I’ve realized that eating for nutrition is essential for our health and eating pastries for breakfast, I’m sorry to say, doesn’t provide the body with essential nutrients to start your day..
Breakfast really is the most important meal and since I started eating it, I’ve noticed that I don’t function properly without it. 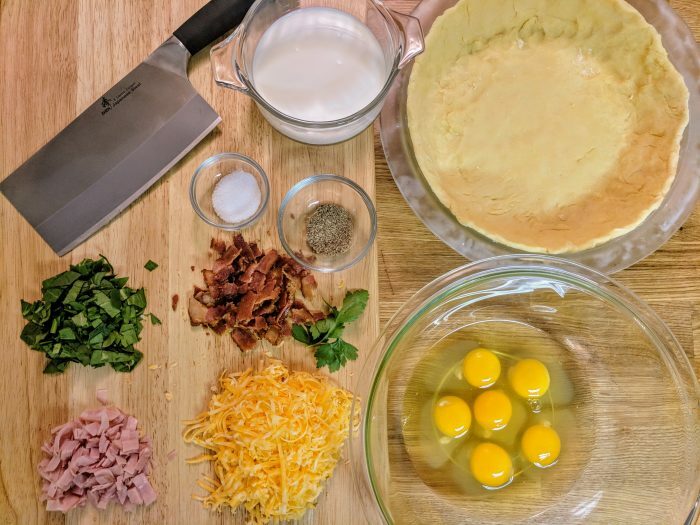 This quiche recipe isn’t anything fancy, but it’s tasty and great for busy mornings. Just grab a slice and go! 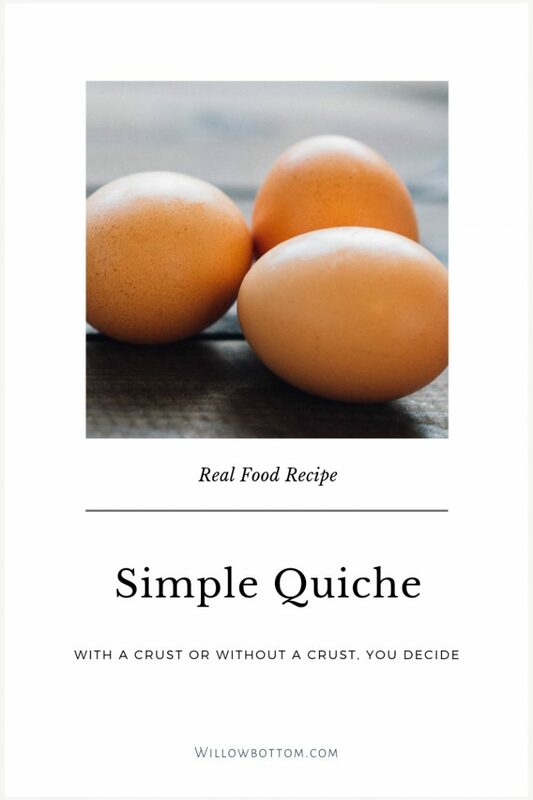 What I like about this recipe is, you can add whatever you like and it can be made with or without a crust. – If you follow me on Instagram, you probably remember seeing these pics a few months ago. Make this recipe with or without a crust. If you prefer a crust. Read the notes for a homemade crust! Add meats, cheese, spinach and salt and pepper, whisk until well blended. If you prefer a crust, it’s super easy to make your own!